It is once again the time of year that we begin planning for our First Crew Disaster Relief Trip for the Fall. This year, we will be heading to the Houston area to assist in the refurbishment of homes devastated by hurricane Harvey. We will partner again with Fuller Center, with whom we worked during two trips to the Louisiana area. The dates for the trip are Sunday, October 28 through Saturday, November 3. Actual work will commence on Monday and finish on Friday afternoon. As usual, there will be a Sunday evening team planning meeting to meet Fuller Center personnel and get organized for the work week. I have prepared an information sheet to give you more detail about the trip this year. Please see the information below for details. 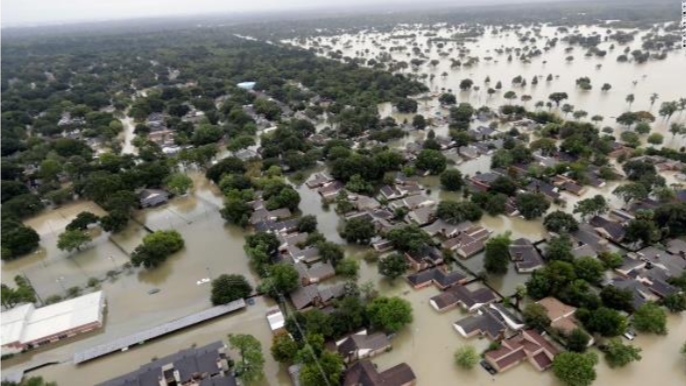 Historically, we have had no pressure to finalize our volunteer list but the Houston area is a popular Disaster Relief volunteer location and apparently housing is at a premium so we may have to set earlier deadlines than usual. If you have an interest in joining us for this trip, or simply would like to be on the mailing list for more information, please drop us a reply email and let us know your interest. You do not need to make a commitment at this time but we would like to know the level of interest so that we can alert Fuller Center on the potential number of people needing lodging for the week. We hope that you will be able to join us for this year to assist those families in the upper Galveston Bay area of Houston, whose lives have been so totally devastated by hurrican Harvey. Date: October 28 - November 3, 2018. Mission Partners: Fuller Center Disaster Rebuilders located in Houston area. We have partnered with Fuller Center for the past two mission trips to Louisiana and it has been highly successful. Type of worked involved: The work involves the refurbishment of homes which have been flooded by hurricane Harvey. All of the demolition has been completed for the homes in which we will be working. Typical tasks include drywall installation, flooring installation, taping and spackling of walls, and painting. All tools and supplies are provided by Fuller Center. A professional Fuller Center Project Manager oversees the project. NOTE: All levels of experience are welcome. Cost: Typical overall costs have been about $250/person in addition to transportation. Transportation for recent mission trips to Houston is in the range of $326-407 currently. Any off site meals will be an extra cost. .We will work to raise funds to offset some costs for all volunteers. People who want to participate but cannot afford the expenses may be able to get additional financial assistance. Lodging and Meals: Fuller Center has partnered with local churches to provide housing and meals. Clear Lake Presbyterian Church can accommodate 25 with wide cots and foam mattresses. Gloria Dei Lutheran Church can accommodate 40 volunteers in bunks rooms. At both locations, rooms are assigned by gender. Breakfast and dinner are provided and volunteers prepare their own lunches which are eaten at the work site. Transportation: After arrival at airport, all transportation is handled by First Crew including transportation from/to airport to lodging site as well as to/from the work site each day. Other Travel Information: Teams typically take Wednesday afternoon off to explore local sites in and around Houston such as the Johnson Space Center. Dinners on Wednesday and Friday evenings are often with the team at a local area restaurant. Skills, expertise, tools and materials: All levels of experience and expertise are welcome and encouraged to participate. Typically, the team includes people with no experience and volunteers who have been on numerous mission trips. It is a great opportunity to learn new skills working side by side with a more experienced volunteer. Fuller Center supplies all tools and materials needed for the tasks. If you would like to volunteer for the Houston Disaster Relief Trip or are just interested to learn more about the trip, please contact Jim Serum or Bob Curran as indicated below. Houston is a popular volunteer area and we will need to make lodging reservations earlier than our typical timing.